Reached level 56 this morning. Still need to grind some gold flyer things to be able to unlock angels (and vampire bats). I got angels level 2. The angels are better for matthew but not as good for Cherie as she already had Gryphon Knights (Tier 3) unlocked at level 4. Her attack is 300. My 2nd place guy has 250, my 3rd place has 200. All those points add up. I saved up and did 40 golden summons on the latest event, cause I really wanted one of those guys… nada. Argh, the slot machine is painful in this game. Guess I will start saving for some future event, since golden tickets and crystals have become extremely rare at level 45. When i see some other characters stats, i don’t really understand how some characters with the same level as my character (say Leon level 56) are much stronger than mine? I have been putting points in Bonds, the got level 20 or 30 SSR weapons and my Leon even has mastered an extra profession. What am i doing wrong??? Having good upgraded T3 troops like angels is also important, since they account for half your power. Not a fan of the enchant RNG mechanic in this game, but it might be a worthwhile investment for you. It’s not too difficult to roll a 5-6% ATK bonus on the enchant, which is substantial. Just account for the gold drain when gambling, since it’s 5k a pop for the gold scrolls. Ok I’ll look into it, I just havent decided what the “ideal” armor is so I’ve just allowed a 4-ench set for now since i don’t have more scrolls. I didn’t know i could buy them. i’ll check. Ah, I should clarify. You can buy gold scrolls with silver ore (5x for 200 ore, go to store -> equipment tab) and the process of applying enchantment costs 5k gold each. Don’t forget to deconstruct your bad SSR gear. Gives you the mats to roll the dice in the store again. SSR is the rainbow right? Just jumped into a dragon team battle. The guy starts the room immediately. Doesn’t have realm buff. Doesn’t bring healers. Good thing I think I can solo it. Note to self, start own teams. Woot! I randomly got 8 golden tickets the last couple days, so I spent a couple bucks for 2 more. I had already drawn 50 for the current summoning event, and got nada… But tonight I drew Bernhardt! 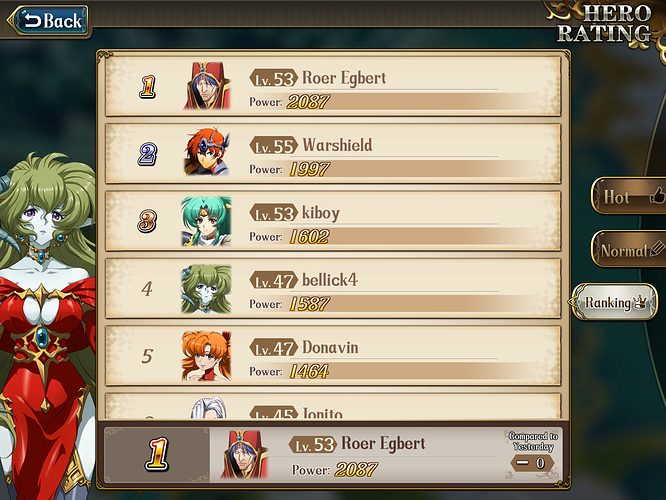 Once I level him out, he will immediately become a staple in my 5-character group (Leon, Altemueller, Egbert, Almeda, and now Bernhardt) I had been desperate for a melee SSR, and pulling him means my main group will now have 4 empire characters… Just need to find an Empire healer that isn’t Anna to round out the faction. Only took me 60 freaking pulls. Congratulations! So you play evil empire? When your first SSR is Leon, you don’t have much choice! Mine is Leon as well, and he is part of the Great Strategist or whatever group, that is actually sort of an Empire-bis faction (You find Leon, Altemuller, Imelda, Egbert, Vargas amongst others in there) with the cherry on top: Luna is part of it. I already said it: Altemuller’s faction buff is more often that not a game changer. As my healer, I use Imelda’s passive. It is surprisingly effective and leaves her active skill slots open for her ice arsenal which is a must versus those pesky lancers — and at the same time this takes care of not having a melee spot on the team: she one-shots the defending bastards from afar just fine! The issue is you have invest one runestone in her for that, and runestones are arguably the single most precious ressource in the whole game. I am stuck with a quite useless Altemuller because of this choice (arguably the hardest strategic decision I had to make in the game ;)… until next month! I haven’t used Altemueller’s faction buff yet, but I’ve read it basically turns leon into a monster who warps around the map destroying folks. Hint: it does the same to Luna if you turn her into the best damn Cherie hunter in the whole game. I like the scrolling guild chat. I was getting so frustrated building teams I was going to make a discord room. Glut of golden tickets today! I’m waiting. April + May should have Glory + Princess banners. What does everyone do for expeditions? Is it better to nurse them every 2 hours through the day or just hit the 8 hour one? Is it a big drop-off if you run an expedition at 95% efficiency compared to 100%? I run highest one I can do, every 2 hours when I have time. I don’t stress about 100% or something, I don’t really know how the numbers work. It seems even 100% can have flukes and give almost nothing. 150k gold, 450 crystals, 2 trinity tickets, 2 SR boxes. edit: Just realized I count downgrade expedition difficulty to look for the lower level materials I need. 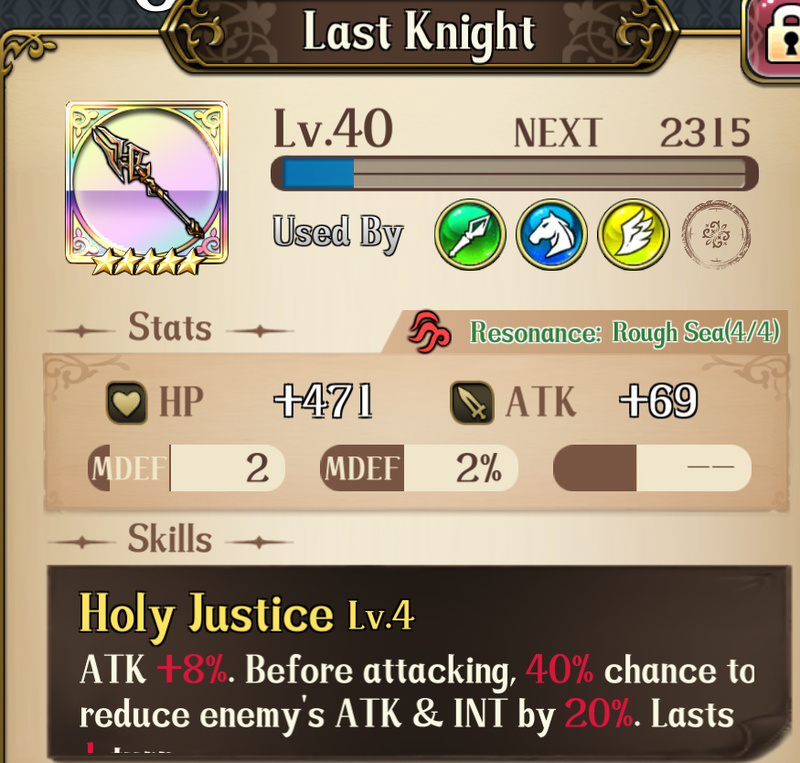 I spent my whole 90 golden tickets stock to get one of the new heroes (and the last R that had eluded me the whole month: Hein). I got Listell. I got her up to a semi-useful state but with her weird faction and skills, she didn’t fair well versus monsters. In multiplayer matches, though! What a beast. If the other team hasn’t geared up to be immune to fixed damage, she can wreck havok, and if they got healers, they are rendered armful to themselves. It’s a load of fun (at least on my side). She can also supposedly protect from magic damage, but it seems it doesn’t trigger on skill, only basic attacks, which makes it quite useless. 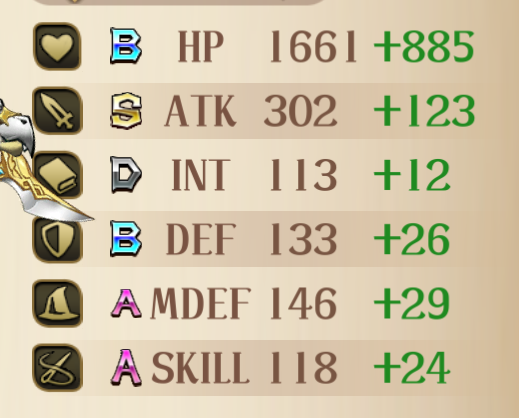 It also states in the skill description she supposedly can counter-attack, but she never did so far. Her limited range of 1 might be the issue, making that protective purpose even more dubious. But boy, Blood Dance is a sight to behold. Edit: it lasted only for a few minutes, but I was #1 yesterday!